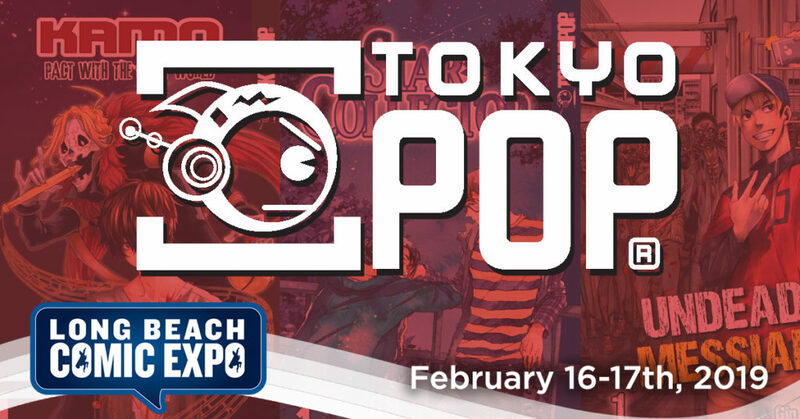 We are excited to announce publisher TOKYOPOP will be joining us at Long Beach Comic Expo 2019 !!!! Founded in 1997 by entrepreneur and filmmaker Stu Levy, TOKYOPOP, part of POP Media Holdings, established the market for manga in North America, introducing the term to the English language in the process.Over its history, TOKYOPOP has published thousands of books, distributed anime and Asian films on home video and television, licensed merchandise to consumer goods companies, created graphic novels of major brands and led the way digitally in social media, e-commerce and user-generated content. TOKYOPOP’s brand expanded internationally with a network of over 160 partners in more than 50 countries and 30 languages. Its production arm has produced live-action and animated film and television content based on its extensive intellectual property library, including Priest, America’s Greatest Otaku, Van Von Hunter, Riding Shotgun, and a slate of projects currently in development.